We all need a little bit of extra help from time to time. For instance, in one popular expat destination, the Netherlands, research was recently published to suggest that many expats could do with more financial help. The survey, carried out by the International Community Advisory Panel (ICAP), an independent foundation hoping to strengthen the connection between the Netherlands’ international community and the Dutch government, has shown that the majority of expats living in the Netherlands do not receive enough help from the Dutch government when it comes to several key matters, including finding affordable housing and integrating their children into the school system. Netherlands can be a very expensive place to move to, particularly if you’re going to be living in one of its major cities. In Amsterdam, house prices have been soaring recently and, in November they finally returned to pre-financial crisis levels. A key finding of ICAP’s Housing Survey was that a large majority of expats are having to pay more than they can afford on accommodation. According to the ICAP research, almost four-fifths (79 per cent) of respondents said that they had budgeted no more than €1,500 a month in rent, but paying a higher price for a place to live is something that most expats could not avoid. Robin Pascoe, the chairwoman of ICAP said that this is because, when expats first arrive in the country, they are unlikely to have a network and only a minimal understanding of the Dutch system, which leaves them “no choice but to pay rents that Dutch people would consider absurd because they need a place to live”. Although expats have been blamed by some locals, including by local Amsterdam broadcaster AT5 earlier in the year, for driving up rental prices, Pascoe said it should be remembered that “it is landlords not tenants who determine what the rent should be”. Another ICAP survey also found a similar story when it came to expats and the Dutch school system. In the Netherlands the government funds primary, secondary, and higher education, meaning that, other than a few additional costs, education is more-or-less free. However, many British expats wish to send their children to international schools, which offer private education aimed at students who’ve moved from overseas. This requires the parents to pay fees. The survey found that 23 per cent of respondents had a child at an international private school. Out of those, the majority had no help from their employer in paying school fees. ICAP board member, Deborah Valentine, suggested that it would be a good idea for the Dutch government to make the less costly Dutch schools cater more to international students to make it easier for the children of expats to fit into the state system, saying there are “enormous gains to be made if the government invested properly in helping the children of new arrivals integrate into the Dutch school system”. 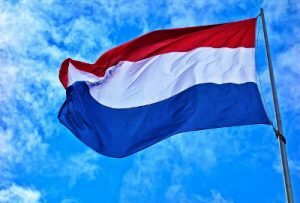 Overall, ICAP concluded that more needs to be done to help expats fit into the Netherlands. Pascoe also spoke of a need to define who is an expat because many international workers are missing out on “generous housing and school deal packages from their employers”. It’s important that these people are able to afford international school fees and housing so that they can successfully integrate into society. Helping them comfortably afford these necessities will make it easier for them to look towards the future, allowing them to focus on other crucial issues, such as their expat retirement planning. There is a lot to consider when relocating to another country regarding your finances. These decisions are important, so you shouldn’t rush them, but to properly evaluate and understand your options and how your decisions will affect you later down the line, professional and independent financial advice is highly recommended. With so many expats concerned about affordable housing and education when they move to the Netherlands, getting financial advice may be the best way for them to get their finances in order so they are prepared to integrate into the Dutch system successfully. At Blacktower, our advisers can help with all aspects of wealth management, including education fee planning in case you’re moving with children, and we can also assist you with your expat retirement planning in the Netherlands. Expats are likely to require advice on various aspects regarding their money, particularly around the time of their big move, when they are steadily adjusting to their new life abroad. This is a complex area, which is why, for many people moving overseas, guidance from an experienced financial adviser is bound to be needed so that they’re able to decide on the most effective wealth management solutions.